This is the place where we have the chance to mention our friends. or are just doing something we admire. Scroll down to see Netherton Friends. Our friend the Wolfman has launched his range of tantalising spice blends. We were lucky enough to try these out before they reached the market and what a treat that was. “Lupo T Wolf is first and foremost an epicurean; a man of taste, style, discernment and curiosity…..and perhaps just a little bit of a rascal. His supreme fondness is for the delights of good food and the myriad flavours and aromas of the international table. Like you, he’s a bit of a dab hand in the kitchen but confused with the profusion of spices and seasonings available, he decided to experiment. 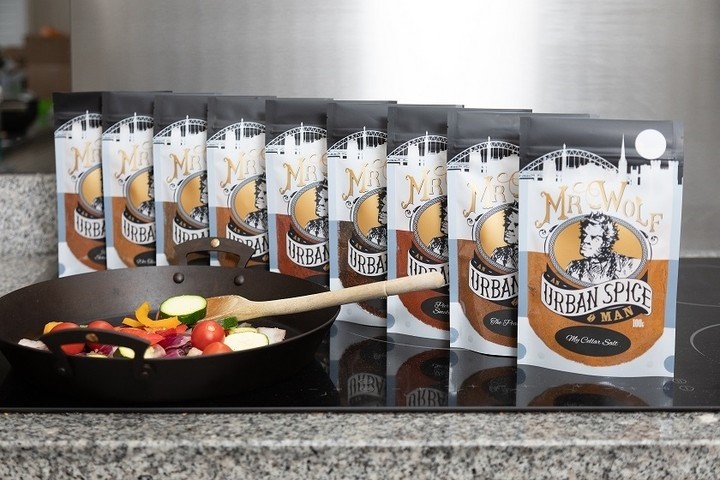 After much trial and refinement, he is delighted to present a range of spice combinations and blends that takes the angst out of cooking and will inspire you to achieve.” Find out more about Mr Wolf here. A freelance food writer, food stylist and presenter, Genevieve is one of our go-to experts when it comes to all things outdoor cooking. Her skill and enthusiasm for playing with fire is enough to get anyone cooking outside. 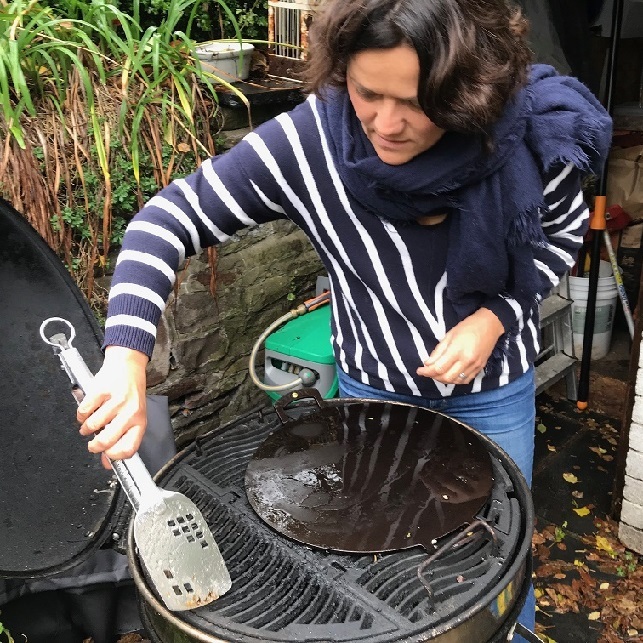 She uses our griddle plates and prospector pans on her barbecue and wood fired outdoor oven. Have a look at her recent books: How to eat Outside or the Ultimate Wood Fired Cook Book and get cooking al fresco. We love the philosophy of David and Clare Hieatt, their single minded approach to restoring pride and manufacturing to a small town in Wales. “Cardigan is a small town of 4,000 good people. 400 of them used to make jeans. They made 35,000 pairs a week. For three decades. Then one day the factory closed. It left town. But all that skill and knowhow remained. Without any way of showing the world what they could do. 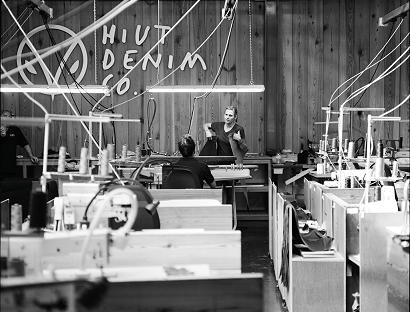 That’s why we have started The Hiut Denim Company. To bring manufacturing back home. To use all that skill on our doorstep. And to breathe new life into our town. Listen here to Georgina Grant. She's the Senior Curator at the Ironbridge Gorge Museum Trust and she tells us a little about the Iron Master, Abraham Darby and why South Shropshire is the birthplace of the Industrial Revolution. When you're next visiting Netherton Foundry you must take the time to see the collection of 10 museums in Coalbrookdale near Telford, it's just up the road from us. There is so much to see that to do the museums justice you will need to stay for a week! If you visit the Blists Hill Victorian Town museum on a Wednesday, you might get to see Roger pouring cast iron into sand box moulds for Netherton Foundry trivets. He makes the sand box moulds using Nethertons' hand carved wood patterns we made by us in Highley. 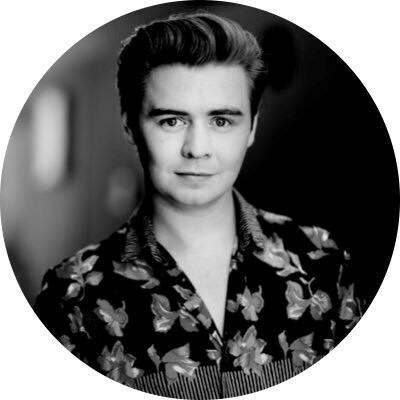 Del describes himself as a a battle-scarred Creative Director, whisky fancier, obsessive cook, occasional writer. We that's all true but he also produces some of the best food photography we've seen. He's clearly a great cook and we just love what he does with our pans. You can find his stunning pictures on Instagram @weerascal , I insist you look at this...now! Also on twitter at @WeeRascal and Del has a website: www.weerascal.com. In daylight hours Del is the design force behind Pocket Rocket Creative , have a look at amazing drinks packaging and designs. If you know (of) Gill Meller (http://www.gillmeller.com/) then you probably already own Gather, his debut cook book, celebrating the joys of seasonal British cooking. If you do not know of whom I speak or don’t have the book, I implore you to rectify both. Gill is quiet, unassuming, generous and incredibly talented. He is at one with the environment. His recipes and his writing have an affinity with his surroundings. His words, as much as his ingredients seem to be drawn from the landscape. We love Gill's Instagram profile. 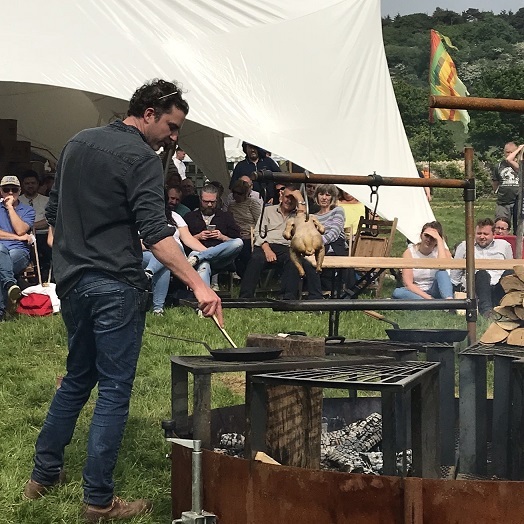 We were fortunate to meet up with Gill at the River Cottage 2018 Food fair over the gloriously sunny Bank Holiday weekend and watch him run the Fire Pit with a diverse bunch of outdoor cooking experts and enthusiasts. This was all about intuition, instinct (the genetically hard wired caveman within us all), experience and respect for the raw materials. 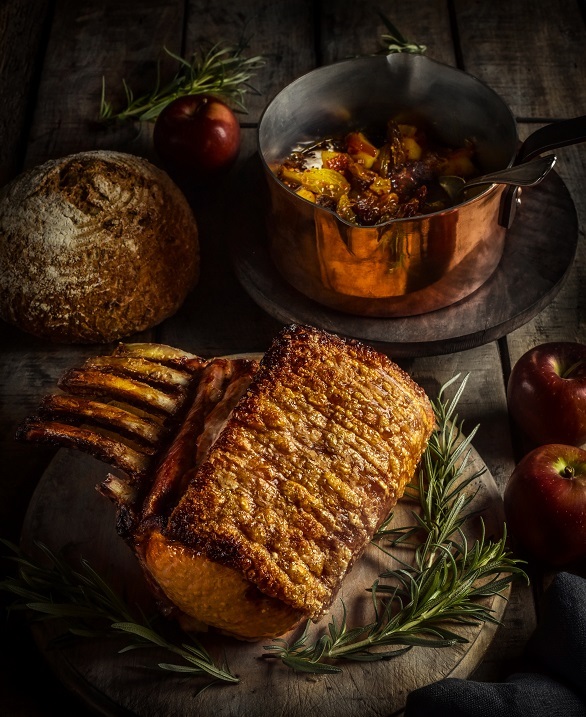 Seemingly simple ingredients were, apparently effortlessly, and belying the true skills involved, transformed by the heat of the wood fires to produce memorably delicious mouthfuls. 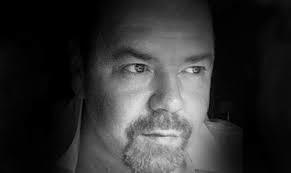 Chris Burt, made his name at the Peach Tree and Momo-No-Ki in Shrewsbury. 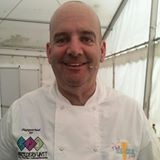 However Chris is never being one to rest on his laurels, and as well as heading up the culinary team at The Mytton & Mermaid, Atcham in Shropshire. He is currently working on projects with Luker chocolate in Columbia alongside industry food magicians MSK Ingredients. 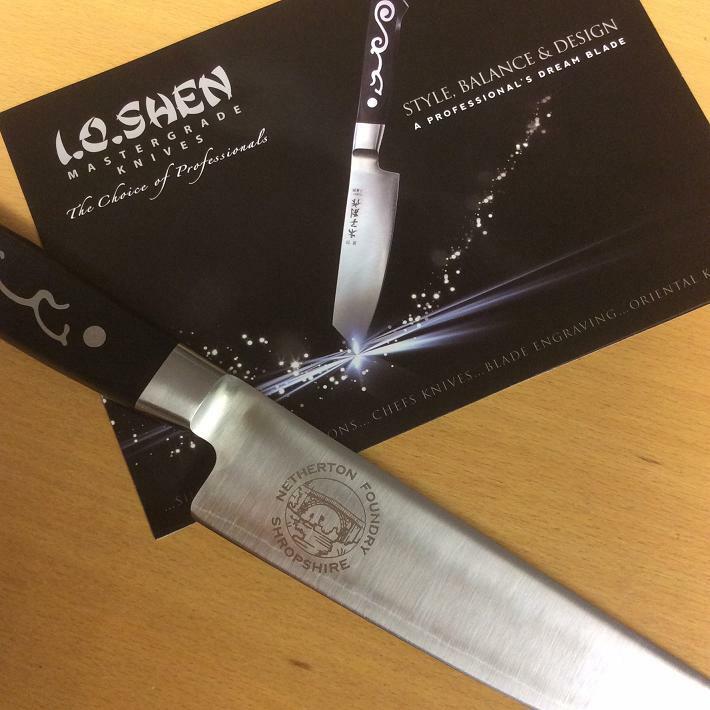 We believe all kitchens should be equipped with kit that does the job the best it possibly can and that is certainly the case with Natalie's knives. Hers is a company run like ours, with a genuine love of her products and a passion for service and customer care. These are knives like no other, from a truly original individual, whom we adore. 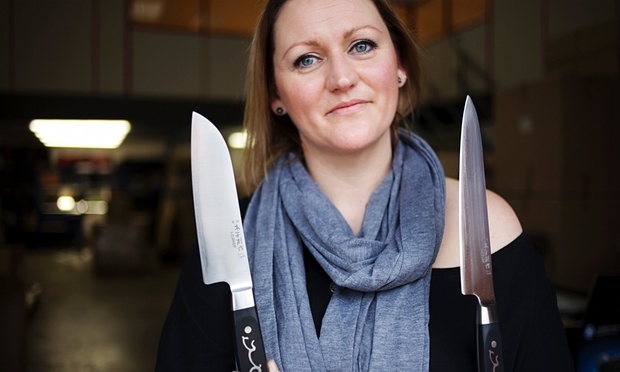 If you want the knife your cooking deserves, get in touch with Natalie, whose advice in selecting the right tool for the job is second to none. Sam Gray, Middle Farm. 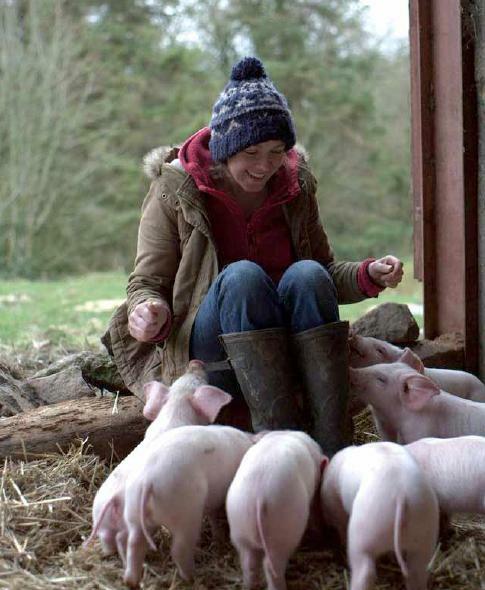 Author, publisher, smallholder, pig breeder, supplier of rare breed pork. We got to know Sam originally as a supplier of really special pork sold only to a very select number of restaurants in Shropshire. Now she's written a book, "Doing it in Wellies" which is her account of making a lifestyle choice and deciding to run a smallholding. Not a guide or a how-to manual, her book takes the reader on a no-frills journey and offers an insight into Sam’s fabulous, manic and often unenviable life. Women who care more for Prada than pig-pens will enjoy it. People toying with the idea of bailing from city life will learn from it. And those wanting a good read and a bit of escapism will enjoy curling up with it and getting lost among the hay and fallen apples of Middle Farm. Sam is a person that you want to talk to. Someone you ask what she’s been up to and wait eagerly to hear her response, because nothing is what you might expect for this mother and wife living in the Shropshire Hills. Based in South West London, with the world at her fingertips due to the global range of her local market and the city beyond and a grocery budget small enough to be found only with a magnifying glass, Miss South comes up with the most amazing recipes. John is a real inspiration, learning to cook when his beloved wife Bev was diagnosed with MS and was no longer able to dish up the delicious dinners he'd become used to. 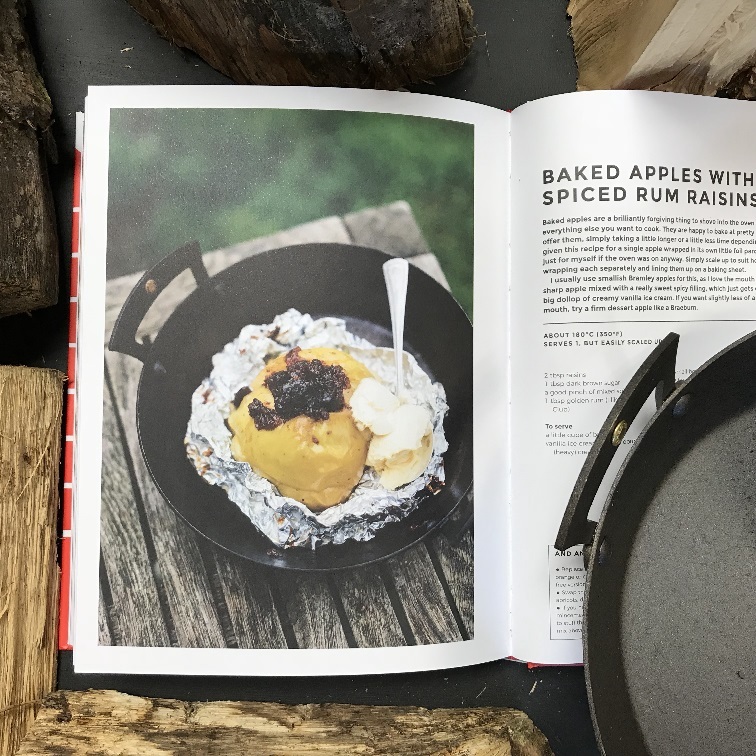 John is now putting his new found skills - and what skills - to good use, not only feeding the family but raising funds for charity and putting together a charity recipe book to inspire others in his predicament. We wish John and Bev all the very best - thank you, Bev for passing on your talent to John and thank you to John for sharing them with us. Marcus & Jenny Bean owners of the Brompton Cookery School, near Shrewsbury. Marcus is a regular chef on ITV’s This Morning, he's cooked for Holly Willoughby & Phillip Schofield and other presenters on the show. He’s appeared on Good Food’s “Market Kitchen”, Channel 4′s “What’s cooking” & “Drop Down Menu”. Food Network’s Christmas special with Matt Tebutt & Lisa Faulkner. A real celebrity. ....but we know him as a great chef and an inspiring teacher. At the Brompton School of Cookery they are equally at home with "expert foodies " wanting to add that extra professional touch or encouraging beginners (young and old) who are taking the first tenative steps into the kitchen. 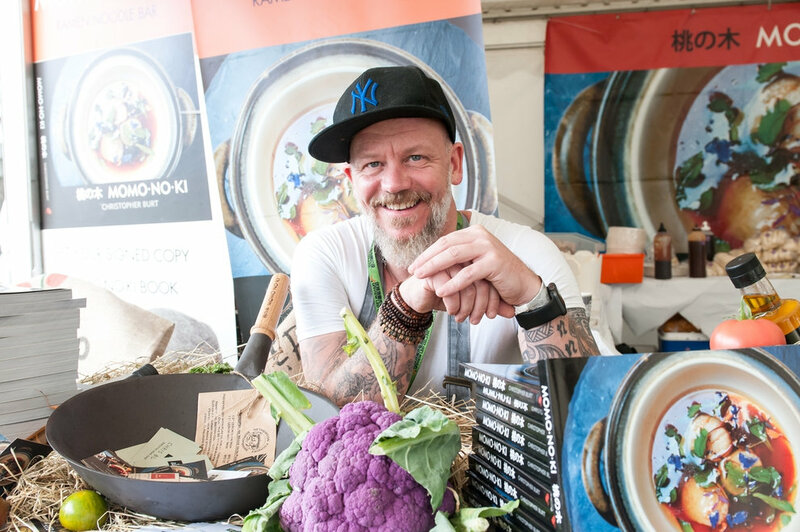 Brompton are great supporters of Netherton kitchenware, they know that our pans can stand up to the odd bit of rough treatment that might occasional occur in cookery school! Click here to treat yourself to a great experience at the cookery school. Phil uses the cooking iron for both meat and veg in this short and entertaining recipe video. 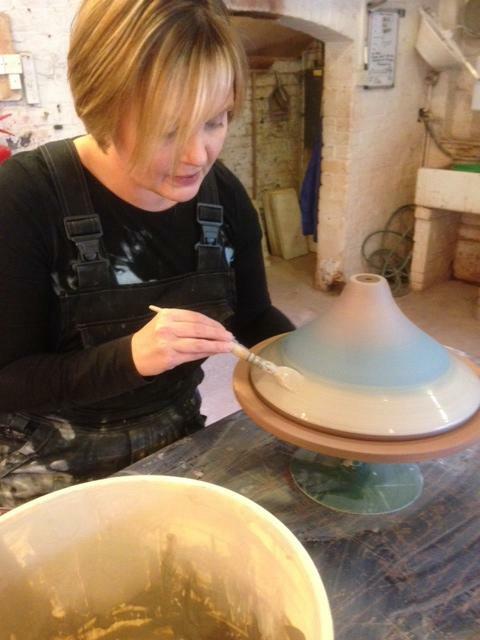 Great hand thrown ceramics with striking, bold images of the Ironbridge and the local area. We are working with her on some limited edition tagine lids.